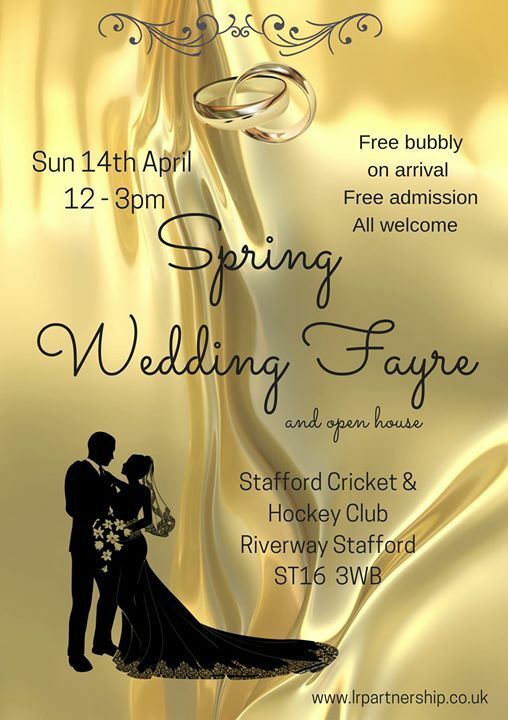 Stafford Cricket and Hockey Club will be throwing open its doors on Sunday the 14th April to all brides and party planners in the Staffordshire and West Midlands for their first wedding fayre. “Choosing the right venue for your special day is probably one of the most important decisions you’ll ever make as well as deciding on those services to make your wedding day one to treasure. 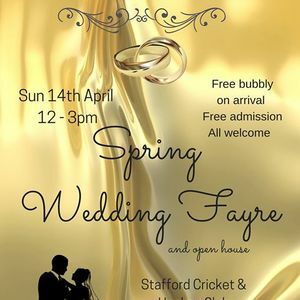 We have some excellent exhibitors attending the fayre that will be able to help advise and guide all the brides to be with their wealth of experience and knowledge.T here will be a range of offers, discounts and samplers from the exhibitors on the day.